This post on employee engagement program guidelines was published exactly 2 years ago on December 1. It is one of my most popular posts and gets read about 5 to 10 times every day since it was published. One big change at the end is that the Employee Engagement Network has grown in 2 years from 1750 to 4415 members. One question I have is about how a company would go about implementing an employee engagement program. Are there any specific guidelines or initiatives? In a previous post, 11 Pathways to Disengagement, I offered a satirical answer and in this post I will offer a genuine and personal response. Strong guidelines not rules. Here are some of the things I believe will contribute to a good start to implementing an employee engagement program. I want these to be strong statements that are not rules to be followed but guidelines voiced and offered that encourage you to consider them carefully and either adopt them, modify them, or reject them as you develop your own approach. There is no cookie cutter approach to employee engagement and we certainly can’t leave employee engagement in the hands of others. Engage employees early and often. Ensure employees have a voice in the program. Ask employees what question could be asked for a survey, have them participate in looking at the results, and give them an opportunity to generate strategies and interventions. We won’t get everyone on the same page unless we give everyone a hand in authoring that page. Read good research. Read the free and informative research on employee engagement. There is lots of good free material out there. One source I highly recommend everyone read is the MacLeod report from the UK. Click here to read 21 highlights from this report and you will also find a link at the end of the article to the full PDF report. Under-measure and over-deliver. Data can be very helpful to determine success and get baseline engagement but keep it as simple as possible and strive for the fewest questions possible. I recommend more frequent surveys with less questions than lengthy surveys that can be disengaging because they are so long and it takes so long to get feedback to the employees. Use this as your last question in any survey. Ensure you ask survey recipients what they can do right now to foster their own engagement and enhance the engagement of others. The survey you use should be engaging and ensure that engagement starts right after the survey is completed by asking: What can I do right now to improve engagement for myself or others? Focus on employee engagement for all. We all must benefit. The employees should benefit from their engagement, the organization should see results, and customers should also experience the benefits of engaged employees. As you plan any program ensure you have declarative clarity on how everyone will benefit. Say No to something else. Do not make employee engagement another item on an over bulging to do list. What can you say no to so that you ensure you can yes to employee engagement? 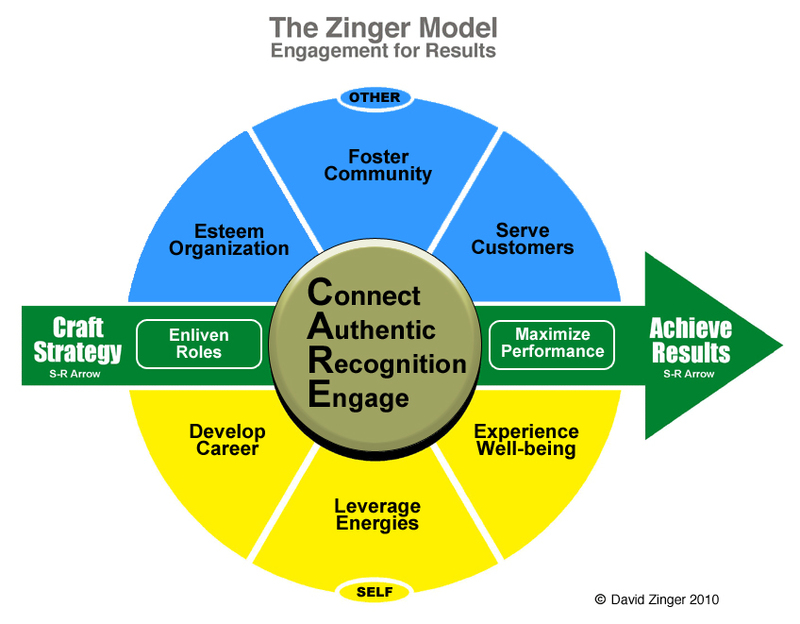 Employee engagement is not about adding more on – it is about being more connected to the work, others, and organization you are already a part of. These connections need to contribute to meaningful and significant results for both organizations and individuals. Eliminate consultants, hire coaches. Don’t leave engagement in the hands of external consultants who will always know less about your organization than you do. We too readily put our important work in the hands of experts who may consume dollars that could be better spend on programs rather than advice. Use external sources as coaches to guide you not to take over what will be done and how it will be done. Employee engagement is not a soft skill. I hate the term soft skills for people skills. It makes it seem mushy and fluffy rather than vital and pivotal. Soft also sounds easy while hard sounds solid and difficult. Rather than soft skills and hard skills I think we need to refer to these two types of skills as fluid skills and fixed skills. We need fixed skills and we need the fluid skills to ensure the fixed skills don’t seize up because people are not engaged. Put a name and face to engagement. Minimize the amount of anonymous data you collect. How can we expect people to engage when they are anonymous. Put a face and name to engagement and make it safe to engage in authentic and real dialogue. If you think people won’t give you an honest answer about their level of engagement in your organization if they are identified than you have a much bigger problem than engagement. You have very troublesome trust, honesty, authenticity, and safety issues to address. Spread engagement around. Make everyone responsible for their own engagement and accountable to everyone else in the organization. We don’t need people checking up on us, we need people checking in with us to talk about our fluctuating levels of engagement. Avoid putting engagement in the hands of just HR or Internal Communications. This is a line issue, this is everyone’s issue. Don’t forget, CEO’s and Presidents are employees too. Community mobilization. Create a community rather than a simple organization. Community needs co-created conversations. I would like to see HR take on a bigger internal community mobilization role by fostering and convening conversations to create and mobilize the latent community potential embedded in every organization. Start by reading Peter Block’s, Community: The Structure of Belonging, and bring people into dialogue. A pluralism of voices. Perhaps you have different keys or believe some of the keys were wrong or missed. I encourage you to voice your perspective in the comments to the post. We need fewer answers and more dialogue. Get connected. Join the Employee Engagement Network. We have over 1750 members interested in employee engagement. Join us to ask questions, find information, offer support, and stay current on the latest information in employee engagement. The glue of engagement is contribution and we welcome your contribution.